Corporate media is muddying the waters around the US election. Ludicrous reports of opinion polls suggest that over the weekend Clinton "extended her lead" over Trump: but three months remain before the election; with sensationalist media's bootprint, anything can change in a day or two. 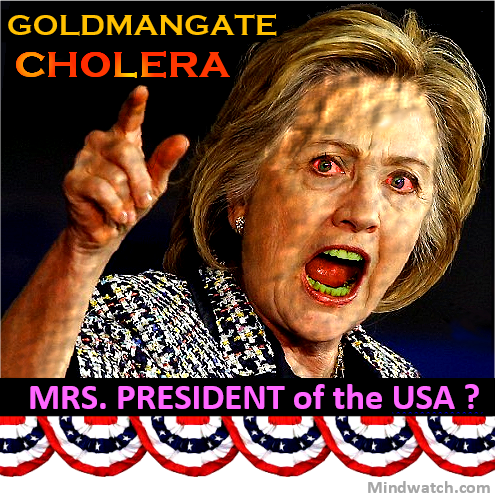 Clinton is clearly a friend of the corporations, and her Goldmangate speaking engagements are likely to haunt her. Goldman-Sachs repeatedly raped the American people during the Bush regime, and belatedly agreed to pay a US$5 billion penalty (though much is a tax-deductible business expense; link). Hillary Clinton knows how to kiss-up to big money, and her $225,000 breakfast speeches were surely designed to get her invited back again. Nonetheless, if and when the contents of Clinton's brown-nosing are disclosed, Goldmangate could torpedo Hillary's chances for the US Presidency. If people become strongly against her, they ignore the defects & shortcomings in the other fool. Even The New York Times is highly critical of Mrs. Clinton's US$11 million income from the still-secret speeches. "An accountable and transparent White House" remains unlikely.